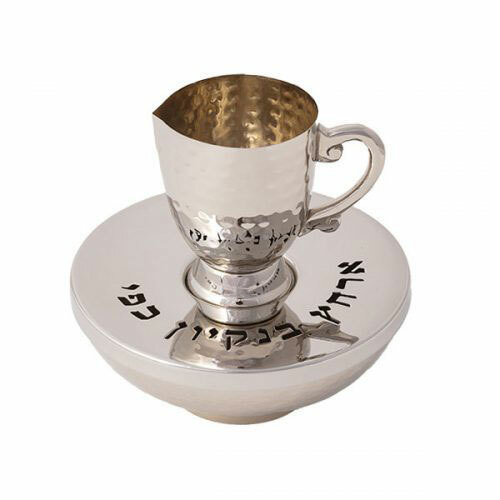 Elegant Hammered Mayim Achronim Set. This striking set is the perfect item to bring color and warmth to your Shabbat or Yom Tov table nearing the end of a meal. It is a two-piece set, composed of a jug with a handle for washing the hands and a bowl to hold the used water.